The black widow is gone. Less than an hour after Tom was evicted, the houseguests sent another player packing. Not as shocking as the earlier eviction but still surprising that the house aligned in this one instance. 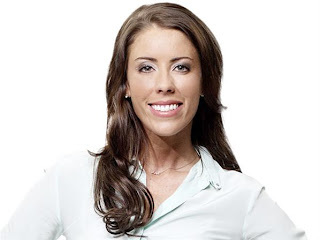 The fifth player evicted from the season is Liza Stinton, the 29 year old tanning salon owner from Toronto. Liza is the manipulative showmancer that sparked relationships with three different men. She's been linked to Andrew but more prominently to both Tom and Peter. Having survived the first three weeks unscathed, Liza's game began to unravel when the different houseguests started whispering her as this season's Yoko. In the fifth round Gary won Head of Household (HOH) and nominated both Tom and Liza, flipflopping between the actual target. 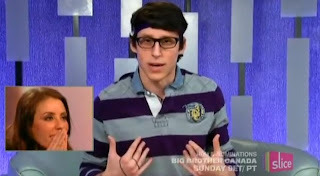 Tom ultimately was evicted in the first double eviction round but the house sided together to target Liza once-and-for-all. On Day 29, Lisa was evicted by a vote of 8-0. Manipulation is a part of Big Brother but Liza weaved a web of lies she couldn't control. Playing both Tom and Peter secured her a good floater position and normally would have earned her a post-jury spot. The house started talking and realized no one could trust Lisa; she was clearly playing two boys, spread lies to the other players and made the wrong choice when it came to the end. Being nominated alongside her showmance partner was the first step to defining herself as her own player. Unfortunately, Liza sided with Tom and turned against her other partnerships of Peter and Jillian. This move is reminiscent of Ashley from Big Brother 14. She was originally a floater who relinquished her floater status to side with Boogie and Frank. By doing this she turned on her close friend Jenn, who was nominated at that time, and campaigned against her. However, both men ended up on the block at the end of the week and it was a double eviction week. Boogie got the boot first and Ashley soon followed - in this case Liza picked the wrong guy and fell by association. Liza needed to separate emotion from gameplay. She was playing two guys who thought they could trust her and held several smaller alliances in the back wings. When Tom looked like a sure thing to be evicted, she should have reaffirmed her alliances with Peter and Jillian. The rest of the house may have turned against her but keeping some power might have changed her position come eviction time. Liza was not your typical floater. She made game decisions but waffled between two guys that she couldn't decide between. The problem with being a floater is that inactivity helps to get far but doesn't win the game. When a decision to play the game is made, it could blow up in their face - which happened in this situation to Liza. Plus, lying all the time and manipulating didn't help her case either.